Audiences attending IF/THEN at Segerstrom Center for the Arts from January 19 – 24, 2016 are invited to partake in complimentary lobby activities one hour before all performances and during intermission. 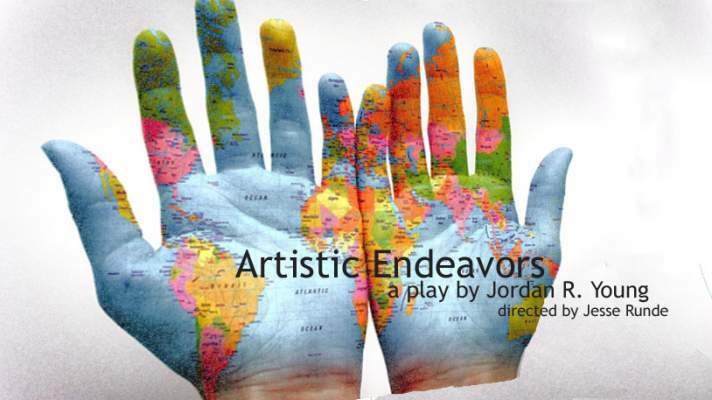 Pack a picnic basket, bring your lawn chairs, and invite friends to experience a free live performance of “As You Like It” by the Shakespeare by the Sea Theatre company on Thursday, July 30th at 7:00 pm in downtown’s Birch Park. One of Shakespeare’s most famous comedies, “As You Like It” is where the saying “too much of a good thing” comes from. 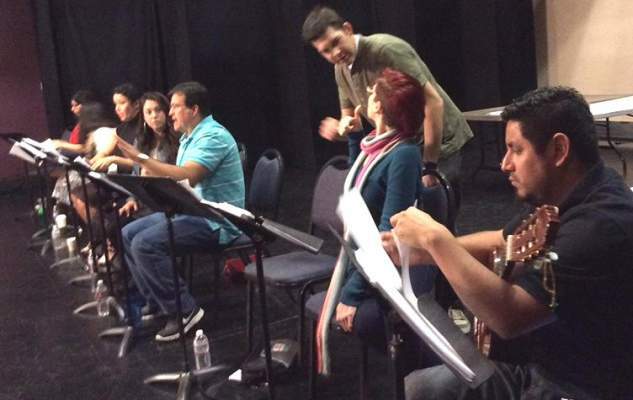 SANTA ANA, CA (August 18, 2014) Theatre Out is set to open their revival of the controversial drama, Beirut by Alan Bowne as its 5th 2014 main stage production on August 29, 2014. Beirut was originally produced by the Manhattan Class Company in New York in 1987 at the height of the AIDS epidemic and presented a dystopian future where panic and isolation become the rule of law. 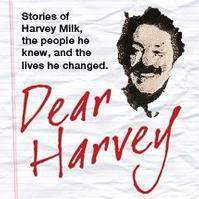 The show received rave reviews for its brave and honest look at the what if of the AIDS crisis. Since its premiere, the play has been produced around the world, praised for its rich character study and lyrical dialogue. Beirut was later turned into a 1993 film, Daybreak featuring Cuba Gooding, Jr. and Moira Kelly. 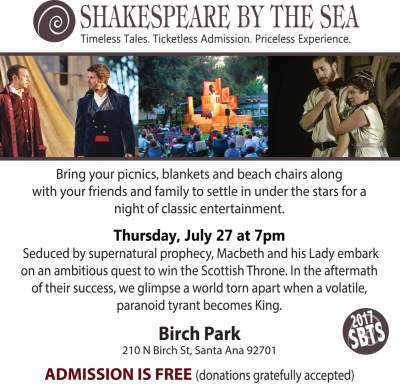 Join the City of Santa Ana in partnership with Shakespeare by the Sea for the 3rd Annual, Shakespeare in the Park event. 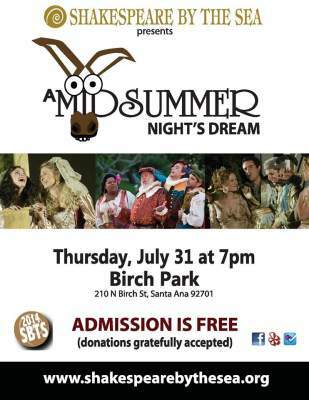 They will present “A Midsummer Night’s Dream” by William Shakespeare on Thursday, July 31, 2014 at 7 p.m., at Birch Park, located at 210 N. Birch in Santa Ana. 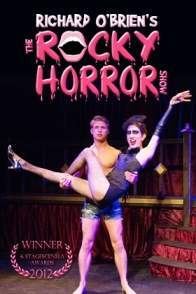 Admission is FREE and for the whole family! Dialogue/Diálogos Invites You to a Sneak Peak of Santa Ana-inspired Play at Santa Ana College Theatre Arts Department on Wednesday, April 2, 2014, at 6:30 pm.